Hanauma Bay Snorkeling Rental Prices 2017 :: oahu snorkeling. oahu hawaii. waikiki. honolulu. Hanauma Bay is a top snorkeling destination in Hawaii. 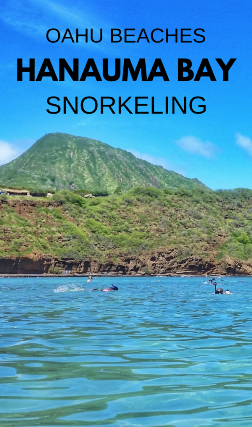 It’s one of the most famous snorkeling spots in Oahu. So, can you rent snorkeling gear at Hanauma Bay? How much does it cost to rent snorkel gear? You can also rent prescription masks, buy a new snorkel mouthpiece, and have storage space with lockers. The note on the board in the picture says no life jackets or flotation devices are offered. So if you would like something like that, you might want to bring along a snorkel vest like this one. 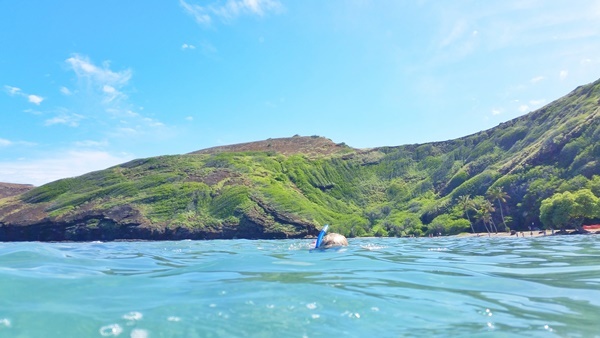 Now, here are a few more things to take a look at to prepare for snorkeling at Hanauma Bay! This pouch so you can take your valuables with you in the water! These types of UV protection shirts to wear so you don’t burn under the strong tropical sun rays when you’re in the water! If you’re on a desktop, use the far left column to filter by women, men, girls, or boys! And these types of swim shorts too for adults and kids. These types of beach shoes if you’re not wearing fins so you can protect your feet from sharp rocks hidden under the sand… and for if you accidentally kick coral reef so you won’t get a cut – they are sharp! For a more in-depth look at what to bring for Hanauma Bay snorkeling, have a look at what to wear snorkeling and snorkeling gear for kids! Hanauma Bay is one of the Hawaii Marine Life Conservation Districts. There are these Marine Life Conservation Districts on 3 of the Hawaiian islands: Oahu, Maui, and Hawaii island (the Big Island). Hanauma Bay is one of 3 conservation districts on Oahu. The other 2 on Oahu can be found along parts of the coast of Waikiki and the North Shore. Part of what makes Hanauma Bay protected is because of the abundance of marine life that can be seen in the bay. This makes Hanauma Bay a popular snorkeling beach! And you may be considering snorkeling at Hanauma Bay too! If so, you also may be wondering if it’s necessary to bring your own gear to Hawaii from home. How much is snorkeling in Hawaii when you go to Hanauma Bay? Well, there are other prices at Hanauma Bay to consider, but here we’ll talk about how much snorkeling rental is when you’re in Hawaii. 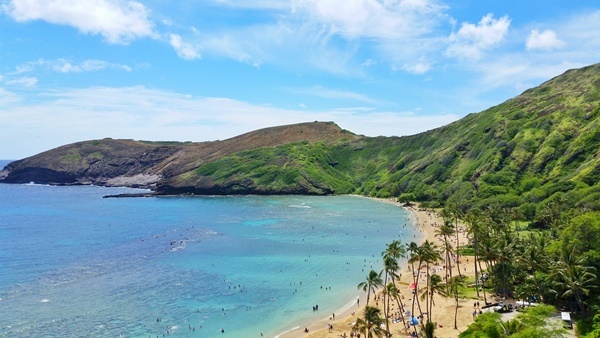 If the only time in Hawaii you’ll be snorkeling is when you visit Hanauma Bay, it might be worthwhile to simply rent your snorkeling gear in Oahu, instead of buying it prior to your trip and packing it in your luggage. So, snorkel gear rental at Hanauma Bay, or bring your own snorkeling gear? Buy or rent snorkel gear? Of course, one of the considerations that goes into that decision is knowing how much it costs to rent gear when you get there! What can you rent at Hanauma Bay? 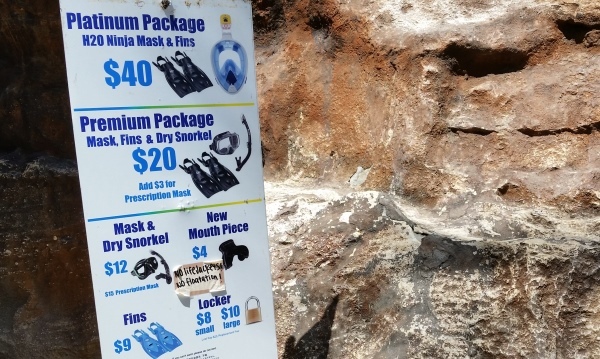 You can rent the snorkeling gear at Hanauma Bay as a package that includes the mask, snorkel, and fins. Or you can also rent the snorkeling gear individually. Before you leave for Hawaii, you may want to get a standard mask and snorkel as a set, or a prescription mask and snorkel as a set if you wear glasses or contacts. Or maybe a full-face snorkeling mask like this one. This way, all you have to do is rent the fins individually at Hanauma Bay, and you’ve got snorkeling gear for your whole trip! Fins are the pieces of snorkeling gear that take up the most space in your suitcase, even if you get smaller fins. Bringing along just a mask and dry snorkel takes up comparatively less space in your suitcase than bringing along a full snorkeling set that includes fins. You can rent the mask, dry snorkel, and fins as a set when you get to Hanauma Bay, or if you just bring a mask and dry snorkel, you can rent just the fins. Do you even need fins at all? Fins will help you move along further and faster in the water. This means that you’ll get a chance to see more while wasting less energy! 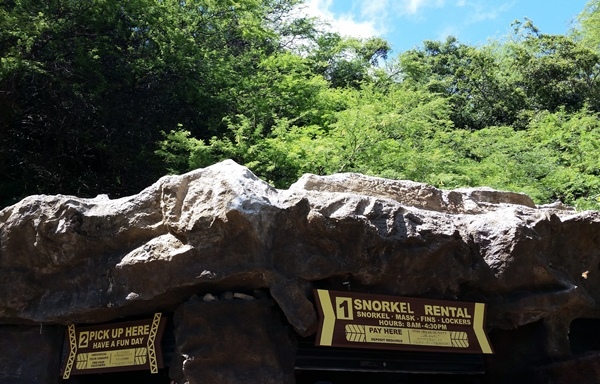 Snorkel rental prices: How much does it cost to rent snorkel gear at Hanauma Bay? These Hanauma Bay snorkeling prices are as of spring 2017. Keep in mind that prices can change at any time. Read more about benefits of using a full-face mask. What are the hours that you can rent snorkeling gear at Hanauma Bay? The hours of the Hanauma Bay Nature Preserve are from 6:00am to 7:00pm or 6:00am to 6:00pm depending on the season. But the hours that you can rent snorkeling gear are from 8:00am to 4:30pm. So keep that in mind if you’re thinking about heading to this beach park in the early morning or staying until the evening! Hanauma Bay is in East Oahu! Hiking trails that could be convenient to add on before a day of snorkeling could be the Koko Head hike and Makapuu Lighthouse Trail! These two hikes are pretty near Hanauma Bay. If you arrive for Hanauma Bay snorkeling to find the parking lot full, these could be alternative activities too that will take 1-2 hours. Then, when you’re done with the hike, you can head on back to see if the Hanauma Bay parking situation has improved! Here are more things to do on Oahu. There’s an interactive Oahu map!